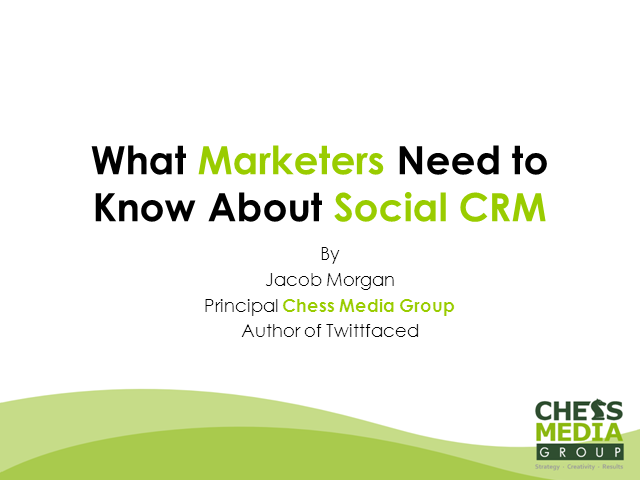 Social CRM can mean many different things to different people. The focus of this session is not going to be about debating definitions or acronyms. Instead, we are going to look at the changing social customer landscape and discuss what marketers need to know about the changes we are seeing and how they can continue to solve business problems.